Description: Everybody wants to go to a place that is an attractive tourist attraction. One group of friends decided to visit the village of Barden and see for themselves the beauty that is talked about by so many people. 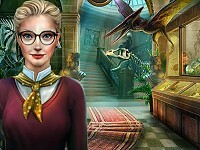 Join Juliet and Marco on their adventure.. Mountain Echoes is a Hidden Object Games.